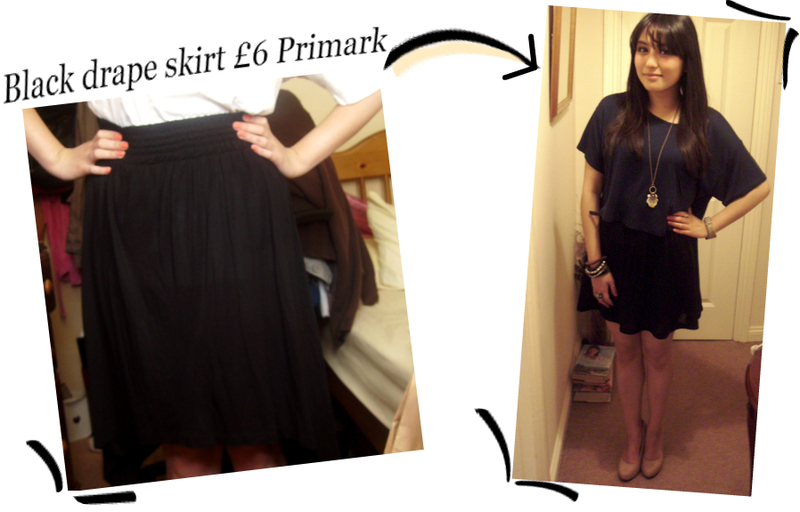 You may remember I bought this black Primark skirt a few weeks ago and wanted to DIY it. Well, I finally got around to it! The skirt itself when I bought it reached just above my knees (when worn high waisted) and each side draped just above my calves. It was actually a decent skirt when I bought it, made in the thin cotton material I’ve been searching for ages, but the shape and fit of it just didn’t suit to me. So I cut off the excess fabric on each side so the whole skirt length reached above my knees, hemmed it with my mum’s sewing machine et voila! I wore the outfit above on Tuesday on a night out with some college friends back from Uni – the photo was taken at my friends house. I’m not known for my skills in sewing so this is a huge achievement for me :) definitely given me the confidence to try out some more DIY. Who’s knows? Watch this space.